I like souvenirs – for me they help trigger memories of special moments or characterise the whole trip in one item. I generally only buy small souvenirs, ones that might be decorative or maybe make a great addition to my wardrobe. Recently I’ve noticed that the BTS Skytrain has launched a new range of BTS themed souvenirs. If you aren’t familiar the BTS Skytrain is an elevated railway that makes getting around Bangkok quick and easy. Traffic congestion being what it is in Bangkok, it’s not uncommon to be stuck in traffic for 2 hours for a trip that should only take 20mins. So given this I could see how tourists might be really keen on buying souvenirs of the BTS because they have fallen in love with its air conditioned carriages and the ability to quickly get to the next shopping mall. 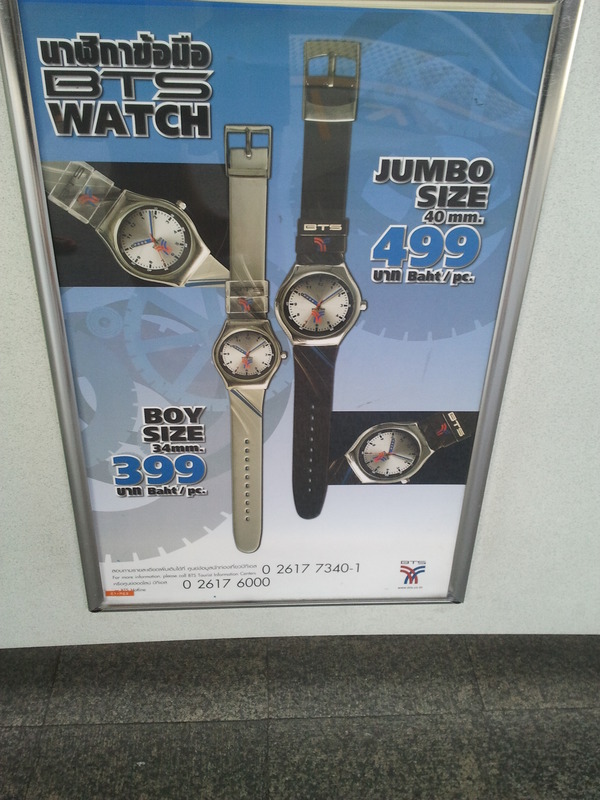 They have the usual souvenirs like key rings, baseball caps and t-shirts but also a crystal miniature skytrain set. For a brief period you could also get a back rest – that looked like it attached to a car seat. With all of these new souvenirs my first thought was why would someone buy souvenirs like these. 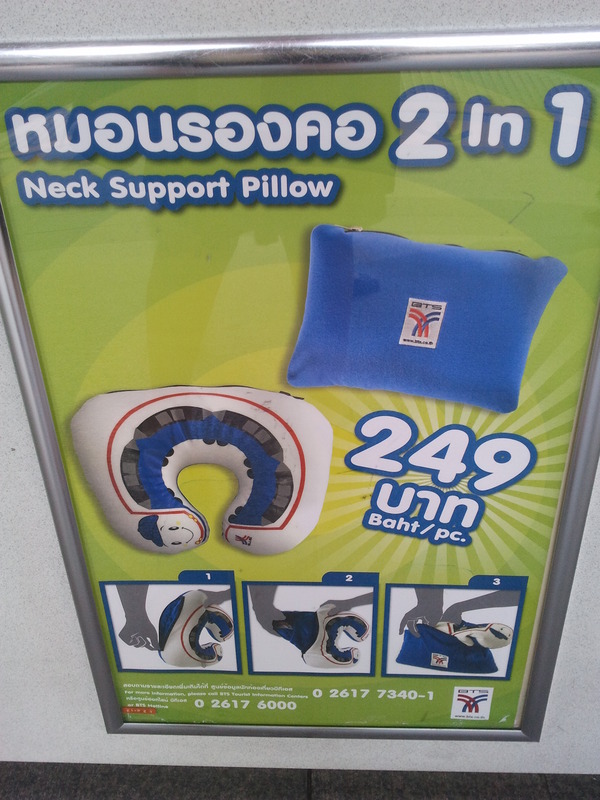 You wouldn’t really need an inflatable neck pillow on the BTS (even if you were going from one end to the other they don’t sell them at the first and last stations anyway). But when you consider what all of these items have in common it seems clear that all of these new souvenirs would make great accessories in you own private vehicle, you could rest a little easier in the 2 hour commute and you could constantly check the time and see how late you were going to be. So maybe the hope is that by constantly reminding people of how quick and easy the skytrain is (especially while they are stuck in traffic) then more and more people will come back to the skytrain.